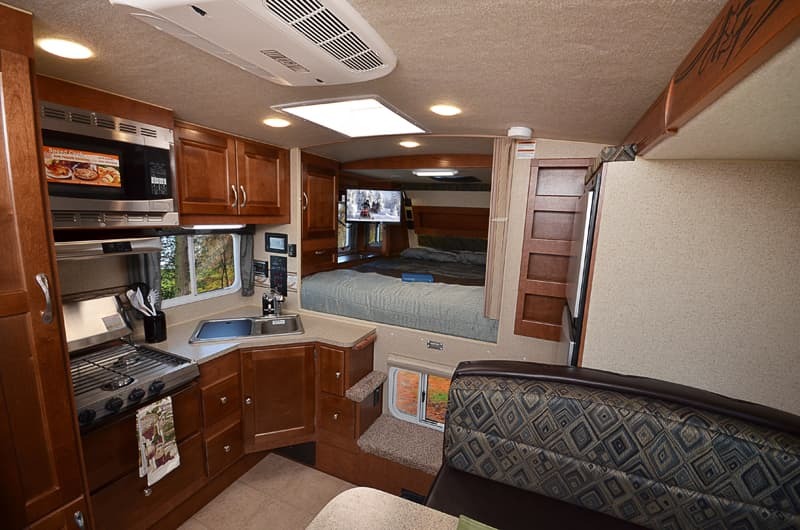 Northwood Manufacturing gives us the inside scoop on three 2018 Arctic Fox truck camper updates, and a behind the scenes look at where Arctic Fox campers are headed. Look closely and you’ll see a ghosted Arctic Fox totem. 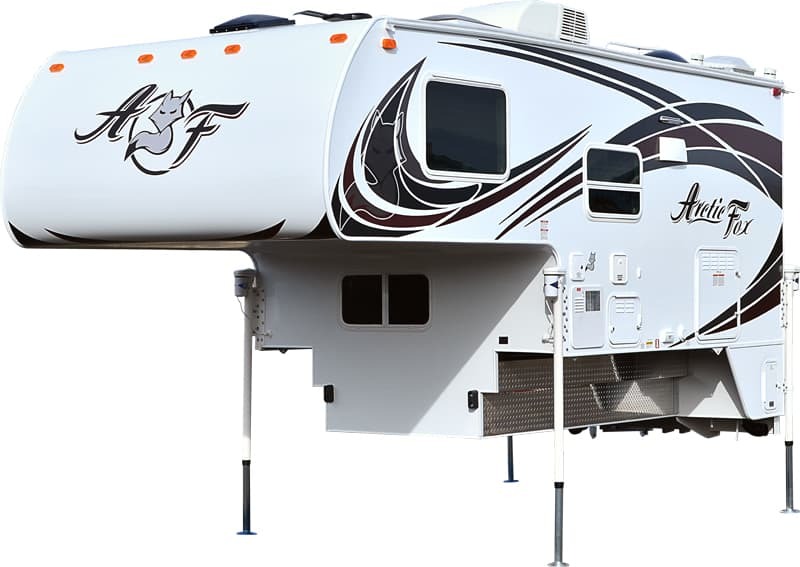 The feast or famine economic pendulum swings hard for the RV industry. In the dark days of 2008, there were weeks and even months when it felt like the RV industry was nearly dead. Thankfully, those days are long over. In 2017, the pendulum has swung back to boom times and the RV industry is doing everything it can to meet unprecedented consumer demand. Put another way, the RV economy has gone from famine, to feast, to an all out feeding frenzy. Unprecedented demand puts unprecedented strain on every facet of manufacturing; inventory, production, quality control, shipping, and just keeping up with the sheer volume of dealer and consumer communications. All of this requires management and production to shift into a higher gear to take full advantage of the exciting opportunity in front of them. This is where we find Northwood Manufacturing and their popular Arctic Fox truck camper line. With seven truck camper floor plans in production, Northwood’s challenge is to increase capacity while maintaining their renown quality control practices. At the same time, they are injecting three minor 2018 updates; a standard 20-watt trickle-charge solar panel, a portable solar panel option, and fresh graphics. For the background on these updates and the inside story on the Arctic Fox’s 2018 truck campers, we talked to Donald Cochran, Northwood’s National Sales Director, Lonnie Savage, Production Manager for the truck camper line, and Lance Rinker, Director of Marketing. Above: A 2018 Arctic Fox 990 with the new graphics. All photography provided by Northwood Manufacturing. TCM: How has 2017 been for Arctic Fox truck campers so far? Donald: We are experiencing the highest demand for truck campers we have ever seen. 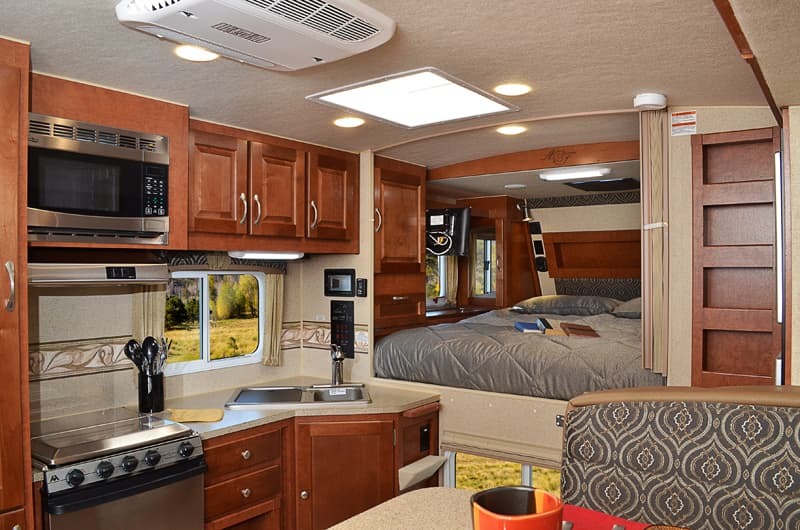 It’s a great market for truck campers right now. There’s a tremendous amount of interest. We are working very hard to keep up with the volume demand and customer retail orders. TCM: That’s great news. Do you see any trends behind this record demand? Donald: Our most popular Arctic Fox floor plan continues to be the 990, with the 811 not too far behind. Most people seem to gravitate to one of those two units. In fact, we were looking into expanding into the triple-slide segment as some people get excited about those bigger multi-slide units, but it has been our experience the vast majority end up purchasing something more along the lines of a 990 or 811. Those models are a better fit for their truck requirements. TCM: There were rumors last year that Northwood was developing a triple-slide. Donald: We did design and build a triple-slide Arctic Fox prototype. We liked it a lot, and gathered dealer and customer ideas and feedback to make it even better. Then demand soared for the Arctic Fox 990, 811, 992, 996, 1140, 1150, and 865. To meet this demand, the triple-slide was put on the back burner. We may revisit it in the future, but not this year. We need to focus on production.